California water officials say they're moving to scrap the system of state-imposed water conservation quotas put in place during the current drought. The system resulted in a cumulative saving among urban consumers of about 24 percent compared to the benchmark year of 2013. At the same time, Governor Jerry Brown issued an executive order that makes permanent some of the most basic prohibitions in place since 2014, such as the ban on hosing down sidewalks and watering lawns to the extent that it creates runoff or within 48 hours of any measurable rainfall. "Now we know that drought is becoming a regular occurrence and water conservation must be a part of our everyday life," Brown said in a statement. 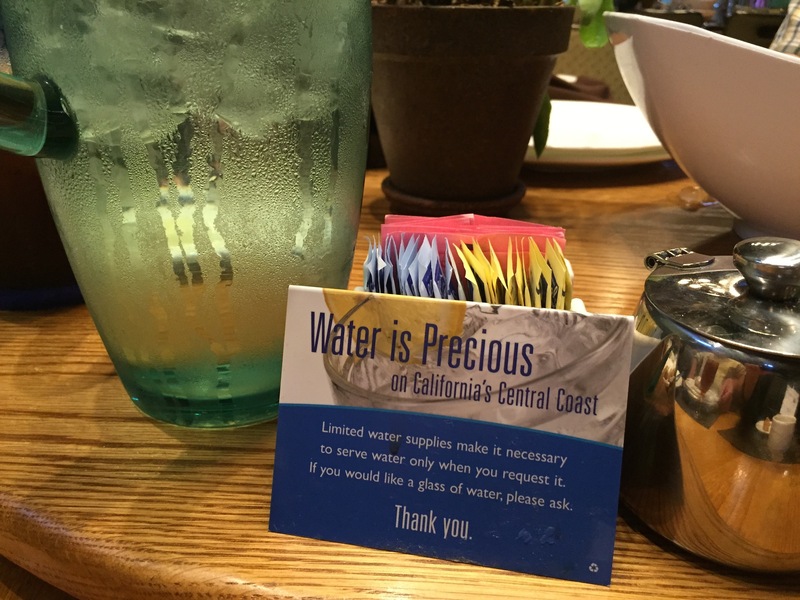 The rule barring restaurants from serving water unsolicited is being lifted, however. 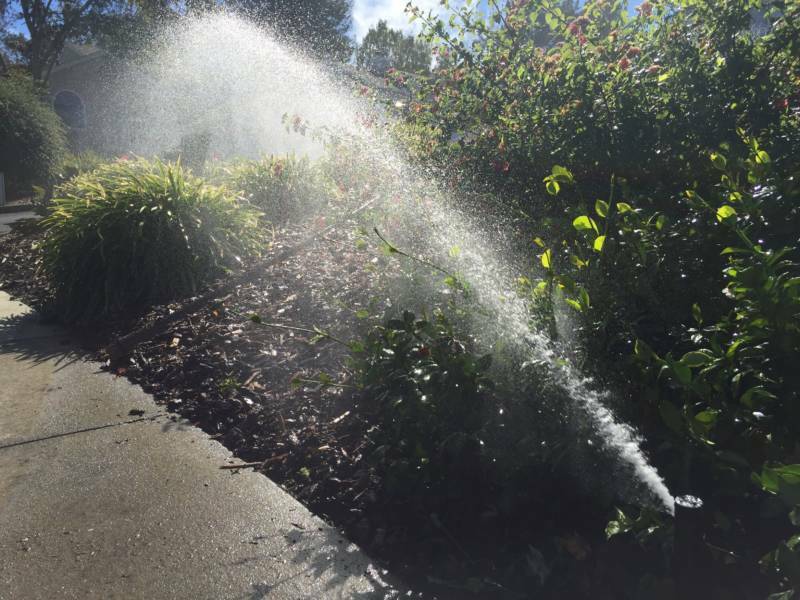 Officials say that was always intended as more of an "awareness" measure than a way to achieve major water savings. But rather than having state officials assign mandatory saving targets to local water agencies, the State Water Resources Control Board will vote next week on a plan to put conservation more firmly back in local hands. Some local water agencies had pushed back hard on the imposed-quota system, calling it unduly restrictive and tone-deaf to local conditions. "What the staff is proposing here isn’t a walk in the park," board chair Felicia Marcus told reporters in a Monday conference call. Instead, Marcus called the new plan "much more tailored to circumstances we’re in now." Those circumstances would be the much improved water conditions from a year ago, when reservoirs were scraping bottom and the Sierra snowpack was at an estimated 500-year low. With conditions remaining stubbornly dry in Southern California, Mark Cowin, who heads the state's Department of Water Resources says officials are "a long way from calling off the statewide drought." So why change the game plan now? Officials called the new proposal "a more nuanced approach" to keeping a lid on excess water use. Under the staff proposal unveiled on Monday, water suppliers would set local conservation targets based on their own three-year supply projections. Those projections would be modeled on a recurrence of both the drought conditions and demand levels from 2013-14. Under the governor's executive order, local agencies will still be required to report monthly water use to the state. Marcus says the state will still be empowered to step in and "second-guess" local agencies, possibly imposing restrictions on those that don't comply with the proposed system. Also on Monday, the California senate passed a bill from Jerry Hill (D-San Mateo) that would force water agencies to institute either surcharges or fines for excessive water use during a declared drought emergency. SB 814 now goes to the assembly.